1. METIRIA TUREI (Co-Leader—Green) to the Prime Minister: Was he advised, prior to 8 December 2015, that the so called “jihadi brides” he referred to during the Intelligence and Security Committee meeting were all resident in Australia and did not leave from New Zealand? Hon GERRY BROWNLEE (Leader of the House)on behalf of the Prime Minister: Yes. Metiria Turei: Why did the Prime Minister not make it clear that these women did not leave from New Zealand when he said: “There’s, in my view, no question that there have been one or two people who have left and it would appear on all factors that we know that they are going as jihadi brides.”? Hon GERRY BROWNLEE: It was not actually the Prime Minister who answered the question, but what I can say is that where they leave from is irrelevant. They are New Zealand citizens, they may return to New Zealand, and they are of concern to us. Metiria Turei: Why did the Prime Minister not tell New Zealanders that these women were living in Australia when the media were reporting that these women had left from New Zealand? Hon GERRY BROWNLEE: I am unware of the media reports and not responsible for them. The reality is that they were travelling on New Zealand passports. Metiria Turei: If the Prime Minister knew that no women had left from New Zealand for Syria or Iraq for this purpose, why did he not give that information to the Islamic Women’s Council, which asked for evidence for his statements? Hon GERRY BROWNLEE: Where they left from is irrelevant. If they are New Zealanders then they are of concern to us. If they are posing a security risk because they may return to New Zealand, that is of concern to us. Whether someone is in New Zealand or not does not remove their New Zealand citizenship—as we have recently found out. Metiria Turei: I raise a point of order, Mr Speaker. My question was very clear: why did the Prime Minister did not give information to an organisation when they asked for it? It was irrelevant—his answer. Mr SPEAKER: No, no, but the question was addressed by the Minister—effectively, saying that where they left from was irrelevant. That was the way he chose to answer the question. He has addressed the question. Metiria Turei: Why did the Prime Minister allow the misinformation about where these women were living to carry on, and was it because he was wanting to build his case for increased spy agency powers? Hon GERRY BROWNLEE: No, the fact is that these women are New Zealand citizens, have travelled to Syria, and may pose a security risk to New Zealand on their return. Mr SPEAKER: Order! The question can be asked. Metiria Turei: Will the Prime Minister now apologise to the many Muslim women whom he alienated when he misled the public into believing that women were leaving New Zealand to become jihadi brides? 2. CHRIS BISHOP (National) to the Minister of Finance: What recent reports has he received on the New Zealand economy? Hon STEVEN JOYCE (Associate Minister of Finance) on behalf of the Minister of Finance: Statistics New Zealand has today reported that the economy grew 0.9 percent in the 3 months to December. This took annual growth over 2015 to 2.3 percent. The first half of 2015 was a weaker time for the economy, so it is pleasing to see that growth has picked up again in the second half of the year, with two quarters of nearly 1 percent growth now. Growth was led by service industries, which made up 70 percent of the economy. The construction sector also saw strong growth. Our 0.9 percent growth rate compares positively with other developed countries, with 0.6 percent in Australia, 0.5 percent in the UK, and 0.3 percent in the US. The OECD average was 0.3 percent. Chris Bishop: How is diversification of the economy contributing to sustained moderate growth and delivering more jobs and higher incomes for New Zealand families? Hon STEVEN JOYCE: It is clear from these numbers that the New Zealand economy is proceeding in a diversified manner. We have a dairy industry that is having a difficult time at the moment, but, despite this, we are seeing solid growth, more employment, and higher wages. Although we are, of course, concerned for dairy farmers, the important lesson is that it does not mean that the whole economy is in difficulty. And that, frankly, is a good thing for all of New Zealand. We are seeing continued growth across many parts of the economy. For example, tourism is performing well; annual beef exports are now up one-third in the last year; international education was worth $3.1 billion in 2015—and that supports 30,000 jobs—and wine exports are now worth $1.5 billion, up 14 percent in just 1 year. Grant Robertson: Do the latest GDP figures show the second consecutive quarter of falling per capita real disposable income? Hon STEVEN JOYCE: I congratulate the member, because he has obviously been in his office, trying to find the one slightly negative statistic, ever since quarter to 11 this morning. Real GDP per capita, which the member used to care about, up until this week, has gone up in both of the last two quarters. The real gross national disposable income per capita, which the member is now so fixed on, has gone down slightly in the latest figures. Grant Robertson: Was Westpac senior economist Michael Gordon wrong when he said that GDP growth per capita is “actually very sluggish at present.”? Hon STEVEN JOYCE: Speaking of sluggish—no, it is not. The September quarter and the December quarter are both at a 0.3 or 0.4, from memory. Grant Robertson: So he’s wrong? Hon STEVEN JOYCE: Well, the Westpac economists were predicting 7 percent unemployment this year at one stage. I note they have been very quiet on that lately. Chris Bishop: What reports has he received recently on reductions in New Zealand’s external financial vulnerabilities? Hon STEVEN JOYCE: It is good news there, too. Statistics New Zealand yesterday released its latest balance of payments figures. They showed a current account deficit of 3.1 percent, which, of course, is significantly better than we used to experience. We were around the 8 percent mark back in the period prior to the global financial crisis, before this Government came into office. 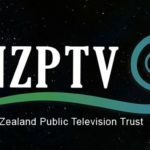 Statistics New Zealand also reported that New Zealand’s net external debt has now fallen to 55 percent of GDP, down from 83 percent when National took office, and is now at the lowest level since 2003. These figures represent good progress in improving a longstanding imbalance in the New Zealand economy, which we inherited. Lower national debt means New Zealand is better placed to respond to any future economic shocks. Chris Bishop: How is the Government’s responsible and consistent programme of economic management, which contrasts with reports of other, more knee-jerk approaches, supporting ongoing moderate growth in the economy? 3. GRANT ROBERTSON (Labour—Wellington Central) to the Minister of Finance: Does he stand by his reported statement from February this year that he is not overly concerned about the broader impact of the slump in dairy prices? Hon STEVEN JOYCE (Associate Minister of Finance) on behalf of the Minister of Finance: In the context in which it was made, yes. As I said earlier, there is a difference between being concerned for farmers, and being concerned that the dairy sector will drag the rest of the economy into recession. Of course, we have seen that that will not necessarily happen, because of the GDP figures today. Of course we are concerned about the welfare of farmers, but this does not detract from the fact that we are seeing continued growth across the rest of the economy. Despite the fall in dairy prices, for example, exports actually increased by almost $2 billion for New Zealand last year and, as I mentioned in the earlier question, tourism, beef exports, international education, and wine are just four examples of that growth. Grant Robertson: Is Waimate mayor Craig Rowley wrong when he says that the dairy downturn is going to have a “massive onflow” in his town and that “There will be no winners. It’s a struggle for everybody.”, or should the people of Waimate not be overly concerned, either? Hon STEVEN JOYCE: Obviously there are some towns that are being affected by the downturn in dairy prices. I can think of a number that I have visited in recent times that are affected on that basis. Grant Robertson: So they should be concerned? Hon STEVEN JOYCE: They of course will be concerned, because of their local economic environment. My point to the member, who constantly says that the only thing in New Zealand is the dairy industry, is that the figures we have now prove that New Zealand has a diversified economy that is growing well, and that is actually good for all those towns, because if we were not growing well at this point they would have more reason to be concerned. Grant Robertson: Is AgriBusiness Group economist Stuart Ford wrong when he says that “The flow on effect for … places like Christchurch are absolutely massive” from the dairy downturn, or should the people of Christchurch not be overly concerned, either? Hon STEVEN JOYCE: The Christchurch economy is New Zealand’s second-largest, and has a whole range of industries in it. Grant Robertson: So he’s wrong, as well? Mr SPEAKER: Order! Complete the answer, please. Hon STEVEN JOYCE: My point is that the Christchurch economy is a large economy that is diversified in areas such as ICT, high-tech manufacturing, construction, and the food sector more generally, including the meat sector and a whole range of fisheries production. The Christchurch economy is a strong economy. It will, of course, be affected to some degree by the dairy downturn, but, as we have seen across New Zealand as a whole, the New Zealand economy continues to perform well and is one of the highest performing economies in the OECD, notwithstanding the challenges of the dairy industry. Grant Robertson: In light of that answer, is not what the GDP numbers actually show is that whatever growth we do have is not sustainable, because it does not come through increased productivity or output, but rather comes from population increase and debt-fuelled household spending? Hon STEVEN JOYCE: No. The member’s talking points are simply wrong. But where he has a point is where, if you remove every part of the New Zealand economy that is growing, you will find that the balance is not growing. It is a bit like a Monty Python sketch, but if you remove immigration, education, tourism, the wine industry, the meat industry, the ICT industry, and—for all I know—ethnic restaurants, you will find that there is no growth in the New Zealand economy. Fletcher Tabuteau: Does the Minister not think that his current apathy and silence on New Zealand dairy farmers opens this Government up to the very reasonable label of fair-weather friend? 4. STUART SMITH (National—Kaikōura) to the Minister of Education: What reports has she received on the Intensive Wraparound Service? Hon HEKIA PARATA (Minister of Education): Tēnā koe, Mr Speaker. The Intensive Wraparound Service is a personalised service that supports children and young people with high and complex behavioural and learning needs. I recently received the results of a review of this service conducted by the New Zealand Council for Educational Research. The review found that it is improving behaviour and educational outcomes for some of the highest-need children and young people who receive this service. Additionally, families involved in the study saw the Intensive Wraparound Service as a major improvement for their children, Indeed, one family described it as a “lifesaver”. Introduced in 2012 this service gives parents the choice of a locally based wraparound service within their local community, and children and young people the support they need to attend their local school. Stuart Smith: What other action is she taking to ensure that students with the highest needs are supported in our education system? 5. CARMEL SEPULONI (Labour—Kelston) to the Minister for Social Development: How many applications for benefits, superannuation, and special needs grants have not been processed because of the issues with the implementation of the client management IT system? Hon ANNE TOLLEY (Minister for Social Development): I am advised that Work and Income is unaware of any applications for benefits, superannuation, and special needs grants that have not been processed due to the introduction of the new client management system. All applications have been processed within normal business-as-usual time frames, and client applications and payments have been given top priority. All client services are now operating as usual, and any clients with concerns should contact Work and Income. Carmel Sepuloni: Is the reason that she cannot provide a number that the booking system is experiencing serious faults and that staff are unable to edit or load client files into the client management system? Hon ANNE TOLLEY: No, it is because there are none. Carmel Sepuloni: Does she stand by her statement last week that “the system is continuing to improve, with an expectation of being at full capacity in the next day or so”; if so, why are there thousands of client files, as of yesterday, still unable to be called up by Work and Income staff? Hon ANNE TOLLEY: I am advised that the amount of work on hand is within the normal range and is being processed within the expected time frames. All work relating to payments is being prioritised, the system’s performance has continued to improve since implementation, and I have received regular updates on the system. One hundred percent of the staff are now able to use the system, and all client channels are operating as usual. Carmel Sepuloni: Have Work and Income staff had immediate access to the high-risk client database the entire time since the rollout of the upgrade to the client management IT system; if not, what security risks has this posed to her staff? Hon ANNE TOLLEY: My understanding is that there were some systems that were not available for some periods of time, but at all times security of staff is uppermost in the minds of Work and Income. Carmel Sepuloni: What additional security measures has she put in place to mitigate the security risks for her staff not being able to identify high-risk clients quickly? Hon ANNE TOLLEY: As I have already said, any of those services that were not available were only unavailable for a short period of time. All offices have security officers in place, and, as I say, especially last week, the security and safety of staff was uppermost in the minds of all Work and Income managers. Carmel Sepuloni: Is she able to guarantee that benefit recipients who are entitled to the benefit rate increase on 1 April will receive this increase on time? 6. BARBARA KURIGER (National—Taranaki – King Country) to the Minister of Health: By what percentage has Vote Health increased since 2008? Hon Dr JONATHAN COLEMAN (Minister of Health): I am pleased to confirm that despite tight global financial times since 2008, National has increased spending on Vote Health by over 30 percent. This $4 billion increase has supported the expansion of health services such as free under-13s GP visits, over 5,500 more doctors and nurses, and 50,000 surgeries, but it has also seen a huge investment in capital projects, such as nearly $1 billion on Canterbury’s health infrastructure and the upcoming hospital rebuilds on the West Coast and in Dunedin. Only National can both manage the books and increase access to health services. Barbara Kuriger: Can the Minister confirm that under this Government the average share of the economy invested in Vote Health is 6.5 percent, and how does this compare historically? 7. Hon DAMIEN O’CONNOR (Labour—West Coast – Tasman) to the Minister for Primary Industries: Does he have confidence in his Associate Minister for Primary Industries? Hon JO GOODHEW (Associate Minister for Primary Industries) on behalf of the Minister for Primary Industries: It is still yes. Hon Damien O’Connor: Has the Associate Minister raised with the Minister any concerns about the 6,000 jobs lost across the forestry sector at the same time that the harvested volume of logs has increased by 50 percent? Hon JO GOODHEW: As when the Minister was the Associate Minister, and also the Minister with responsibility for forestry, this is an ongoing issue for the forestry sector. So Minister Goodhew and the Minister have actually discussed this. However, what we do know is that there are more logs being processed in New Zealand than ever before. That is of higher value than logs going out. The other thing that this Government is doing is, certainly, assisting and supporting the log processing sector so that there is a higher value coming back to New Zealand’s workers. Stuart Nash: What has his Associate Minister proposed to remedy the problem in Gisborne, where Malaysian-owned Hikurangi Forest Farms refuses to guarantee logs to a locally owned saw mill, preferring, rather, to export them, even though the mill owners are prepared to pay export-equivalent log prices? Hon JO GOODHEW: It will come as no surprise to this side of the House, at least, that this Government is not going to get itself in the middle of a commercial arrangement. We will not require any owner who is harvesting logs to supply at any particular cost to any processor. Richard Prosser: Can the Minister confirm to the House that logs exported from New Zealand ports by vertically integrated, foreign-owned forestry companies that own cutting rights to New Zealand in saw mills overseas actually earn New Zealand anything in terms of direct net foreign exchange? Stuart Nash: Has she expressed any concern at all that Hikurangi Forest Farms may lose its internationally recognised International Forest Stewardship Council certification because of its refusal to guarantee the supply of logs to a local saw mill; if not, why not? 8. BRETT HUDSON (National) to the Minister of Tourism: What reports has he received about growth in the number of visitors coming to New Zealand? Hon PAULA BENNETT (Associate Minister of Tourism) on behalf of the Minister of Tourism: A record 3.2 million tourists visited New Zealand, of course, in 2015. In particular, there has been a huge increase in the number of visitors from China, with arrivals for the year ended January 2016 up by 42 percent on the year before. They are also, of course, spending more, which is great news for us here, with Chinese visitors’ spending growing even faster than arrival numbers. In 2015 they spent more than $1.6 billion while visiting New Zealand. Brett Hudson: What are we doing to attract Chinese visitors to New Zealand? Hon Damien O’Connor: Cheap airfares. Hon PAULA BENNETT: This side of the House, this Government, is doing a great job in actually attracting Chinese visitors, and even welcoming Chinese who might want to stay here on their visas and even work in ethnic restaurants. We kind of encourage that as well—if the member wants to chirp up there. Estimates show that up to 70,000 people visited during Chinese New Year this year, and we need to do all we can to, obviously, capitalise on this. Regional tourism organisations are working with officials to get better insights on what they can do to attract Chinese visitors to their regions. Brett Hudson: What risks are there to the continued growth of Chinese tourism? Mr SPEAKER: Order! There is no responsibility for that. Grant Robertson: Is it correct that yesterday’s current account figures show that despite an increase in the number of international visitors to New Zealand in the latest quarter, total expenditure fell by $57 million? 9. RON MARK (Deputy Leader—NZ First) to the Prime Minister: Does he stand by all his statements where the interests of young New Zealanders are concerned? Hon GERRY BROWNLEE (National—Ilam): on behalf of the Prime Minister: Insomuch as they are accurately quoted or reported, yes. Ron Mark: If the Prime Minister in 2009 said: “We simply can’t afford to leave our young languishing on a benefit.”, why are there now 37,700 Māori and Pacific Island youth not in jobs, education, or training? Hon GERRY BROWNLEE: We have some of the lowest levels of unemployment for people in that category in New Zealand’s history. If the member is serious about supporting young people into work, then he would support the expansion of the economy and immediately sign up to the Trans-Pacific Partnership agreement. Ron Mark: How will young New Zealanders access affordable rental homes and ownership when they face competition from a net 65,900 migrants a year into New Zealand? Hon GERRY BROWNLEE: I am not at all pessimistic about the future for young New Zealanders, in a country that is led by a Government that is progressive, that does want the economy to grow, and does have an international focus towards the world that those young people will eventually lead. Ron Mark: Reflecting on his answer to supplementary question No. 1, what on earth is he doing to help young New Zealanders get ahead, when our rate of young people not in jobs, education, or training is worse than that of Poland and the Czech Republic? 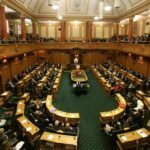 Hon GERRY BROWNLEE: The statistic that the member is putting in front of the House is the lowest it has been in New Zealand’s history, and the whole programme that this Government is running is about expanding the size of the New Zealand economy to create the sort of opportunity that those young people will want. But do not be pessimistic about the whole of the young people who fit into that neat group. The vast majority of them are in work or training, making progress in their lives, and will make big contributions to New Zealand. It is a shame that the member’s party does not want to do the same. Hon Steven Joyce: Can the Prime Minister confirm that the levels of 15 to 19-year-olds not in employment, education, or training are the lowest in New Zealand history since that series has begun? Hon GERRY BROWNLEE: I can confirm that. That would be the third time today that I have confirmed it. I hope the member who asked the question on the Order Paper has heard that. Ron Mark: To the Prime Minister—in waiting—why argue that you have the interests of young New Zealanders at heart when your Government has issued over 92,000 work visas to foreign students who are doing these young New Zealanders out of the opportunity of working? Hon GERRY BROWNLEE: We do not see the doors of New Zealand shut and closed to the world, as the member’s party does and as he demonstrates by his lack of commitment to New Zealand’s trading opportunities. Mr SPEAKER: Order! The question is long enough. 10. STUART NASH (Labour—Napier) to the Minister of Police: If someone suspects criminal activity and they actually want the Police to turn up in under 10 minutes, do they have to inform the Police that they have a gun? Hon JUDITH COLLINS (Minister of Police): No. Mr SPEAKER: Order! [Interruption] Order! The question has been asked. Stuart Nash: No, no. I have got more. Mr SPEAKER: The question has been asked. Stuart Nash: I raise a point of order, Mr Speaker. Mr SPEAKER: If the member wants to break into an interjection and have a chat halfway through giving a question, that is what will happen. Stuart Nash: But I lost my train of thought because there was so much stuff going on over there. Mr SPEAKER: Then because I am in a very generous mood, I will allow the member to regather his train of thought—[Interruption] Order!—to ask his question again, and please do not respond to interjections. Stuart Nash: What does she say to her constituent Mr Kumar, who said about having his dairy robbed yet again, that “We can’t do much … apart from reporting it to the cops and the cops never turn up, saying ‘that’s not a major issue’ … I’ve reported so many times that I’ve just lost hope”? Hon JUDITH COLLINS: I am happy to say to Mr Kumar and to that member that in relation to that matter the police were already on their way to the incident before there was any mention of a gun. The police have advised that the people in the shop waited 5 minutes before calling 111; that is, 5 minutes after the youths left the scene. The call came in at 5.52 p.m. Police were despatched at 5.57 p.m. They arrived at 6.02 p.m.—10 minutes. I think that is an outstanding response from the New Zealand Police, and, by the way, people have now been dealt with and the matter is being resolved. Stuart Nash: Has she not failed the country when police say “dairy robberies were not just a problem for Papakura, but the district and the rest of the country.”, considering that over 60 percent of all robberies do not get solved? Hon JUDITH COLLINS: No. In fact, the people who have failed New Zealand are the parents who have not looked after their children. Mr SPEAKER: Order! Sorry to interrupt the member. Could the member start again. I am having trouble hearing the supplementary question. Stuart Nash: Sorry. Why will she not admit that her Government has under-resourced police, when dairy owners have to lie to get police in order to get them to respond? 11. KEVIN HAGUE (Green) to the Minister of Health: Will he introduce a tax on sugary drinks, in light of the growing number of countries who have done so, most recently the UK, and the evidence that it is effective? Hon Dr JONATHAN COLEMAN (Minister of Health): The Government’s position on a sugar tax has not changed. It is not something that we are actively considering. We will continue to keep a watching brief on the emerging evidence. I think it is important to note that there is no single solution that will fix obesity. That is why we have implemented the Childhood Obesity Plan, with a range of interventions across Government, the private sector, communities, schools, and families. We are now one of the very few countries in the OECD with a national childhood obesity target and a comprehensive plan to support it. Kevin Hague: Does the Minister stand by his comments on The Nation in October last year, when he said that although a tax on sugary drinks would decrease their consumption, it may not decrease obesity, because people could drink beer instead? Hon Dr JONATHAN COLEMAN: I do not think he is reporting those comments verbatim, but I stand by the substantive point. Kevin Hague: Why does he disagree with George Osborne, the UK Chancellor of the Exchequer, who said: “I am not prepared to look back at my time here in this Parliament, doing this job, and say to my children’s generation: ‘I’m sorry. We knew there was a problem with sugary drinks. We knew it caused disease. But we ducked the difficult decisions and we did nothing.’ ”? Hon Dr JONATHAN COLEMAN: Governments in different countries make decisions for a range of reasons. I am not responsible for Mr Osborne’s statements. 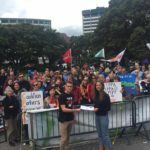 Kevin Hague: Which side is the Government on: multinational sugar barons, like Coke, or Kiwi kids, whose health is suffering right now because of fizzy drinks? 12. JENNY SALESA (Labour—Manukau East) to the Minister for Tertiary Education, Skills and Employment: Is he concerned about skills shortages in professions that require knowledge in STEM subjects; if not, why not? Hon STEVEN JOYCE (Minister for Tertiary Education, Skills and Employment): I thank the member for her question, which is an area of great passion of mine in this portfolio. To answer her question, yes, which is why the Government has a comprehensive programme to attract and train more skilled people in science, technology, engineering, and mathematics areas. This includes building the pipeline of students wanting to study science, technology, engineering, and mathematics subjects, through A Nation of Curious Minds and the Engineering – Education to Employment initiatives, and working to lift Māori and Pasifika participation in these subjects. The good news is there are more graduates in science, technology, engineering, and mathematics areas than ever before, with Bachelor’s level or higher graduates in engineering up 36 percent in 2014, over 2008; ICT graduates up 43 percent; and graduates in natural and physical sciences up 24 percent over the same period. Jenny Salesa: How many teachers with science, technology, engineering, and mathematics qualifications have been trained over the past 5 years; if his policies are so successful, why are maths and science teachers being pulled out of retirement because of critical shortages? Hon STEVEN JOYCE: It is interesting the member raises that, because I had a discussion with the Ministry of Education in the last week on whether there were any areas of shortages, as the member has described. I am reliably informed that actually no, there are not widespread shortages in that area. That is not to say they are not looking to train more teachers in maths and sciences, but if you look at the advertising of those positions in the last few months, since the start of the year, my understanding is there are not unusual numbers of ads being placed for vacancies in those areas. Jenny Salesa: How will young Kiwis become proficient in maths and science, when only 39 maths teachers and four physics teachers graduated from one institution and none from another? Hon STEVEN JOYCE: In terms of the teaching workforce, again it is a matter of demand and supply. So I take a close look at what the Ministry of Education is saying. The Tertiary Education Commission talks with the ministry on an ongoing basis. If any shortages appear, they do look to recruit people and encourage the universities to recruit people accordingly. All I can do is repeat for the member what I said. I checked in the last week on this matter, and my understanding is there are not levels of unusual shortage. Jenny Salesa: After 7 years as the responsible Minister, what is his response to a school principal who is concerned about “a huge drop or just lack of applicants” in maths and science teachers and has no idea where the replacements are coming from? Hon STEVEN JOYCE: An individual principal may or may not have that view. All I can tell the member is across the overall teaching sector that is not the case, and I can tell her that the numbers of graduates in areas such as sciences is up significantly—24 percent over the last 6 years for natural and physical sciences, for engineering subjects it is up 36 percent, and for ICT, up 43 percent. These are big increases. They may or may not be proceeding into the teaching profession, but actually, again, from the information supplied by the Ministry of Education, there are not widespread shortages. Joanne Hayes: What reports has he seen of skills shortages in other areas? Hon STEVEN JOYCE: I am aware of reports that there may be skills shortages in other parts of tertiary education, which I am looking into. Of course, the one that is perhaps most prominent in recent days has been the area of culinary arts, where I understand we are possibly importing Chinese chefs to work in Chinese restaurants, and we are also possibly importing Viet Namese chefs to work in Viet Namese restaurants, Thai chefs to work in Thai restaurants, and possibly even Japanese chefs to work in teppan-yaki restaurants. This is outrageous—it is, frankly, appalling! We need to stop this immediately, and I think the answer is actually to pass a law in this House renaming those restaurants. I think the Little India restaurants should be renamed “Little Invercargill”, and we will close this problem down immediately.